Whenever a client struggles with daily activities at home, our staff gives the right kind of support, helping the client become more independent and safe at home. Old age can have a great impact on the mobility and daily living of an individual at home. 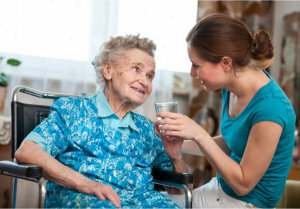 A Friend In Need Home Care aims to minimize the struggles that you or an aging loved one faces every day by providing in home care services. These services are centered on helping you remain independent while giving enough support that you need to get things done. From personal care tasks to homemaking, our caregivers are equipped with the skills, techniques and industry-best practices to support you at home. Your available care options can be further discussed at your most convenient time. An assessment can be scheduled online or you may contact 913-289-8849 to have a meeting arranged.